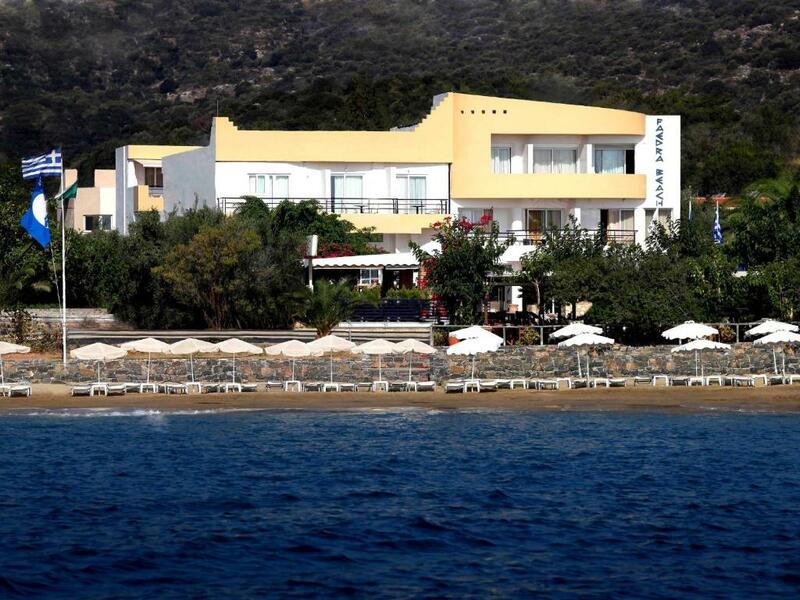 Lock in a great price for Faedra Beach – rated 8.1 by recent guests! There was a great beach and pool area. The rooms were a good size and I liked that the kids slept in a separate area. Excellent location perfect for families. 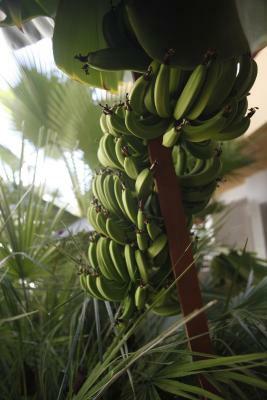 Friendly and helpful staff, delightful breakfast, great wifi that reached to cabana by beach. Highly recommend. We hope to return. Great location. Lovely beach in a quiet area near the main town. Great rooms and great views. Really good breakfast. The staff in the hotel and restaurant were wonderful. Breakfast was perfect, typically Greek. The restaurant by the beach served lovely food too with fantastic service. We just did bed and breakfast but you can do half board. All the staff were very friendly. 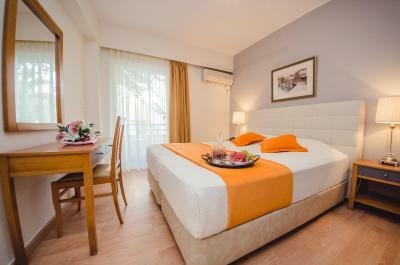 The rooms were cleaned daily and were spotless. The air con was free which was a bonus. No hairdryer in the room but when I asked for one I was given one immediately. The staff were very friendly and helpful giving the hotel a family touch. The beach is beautiful with crystal clear waters and in a really nice spot. The room was spacious and the same with the bathroom and was well equipped. It had an excellent view of the bay. An additional commendation was the breakfast which included Cretan cheeses and some other local specialities as well as seasonal fruit. Tolle Lage, nur durch Uferstraße vom Sandstrand getrennt. Zimmer modern, mit Doppelbett und Schlafsofa sowie kleiner Kochgelegenheit. Modernes Badezimmer mit Fenstern zum Lüften. Hervorrangendes WLAN. Frühstück vollkommen ausreichend, sehr guter Kaffee und leckeres Brot. Faedra Beach This rating is a reflection of how the property compares to the industry standard when it comes to price, facilities and services available. It's based on a self-evaluation by the property. Use this rating to help choose your stay! Enjoying a picturesque location on the peaceful and sandy beach of Ammoudara, Faedra Beach is just 1.9 mi away from the center of Agios Nikolaos. 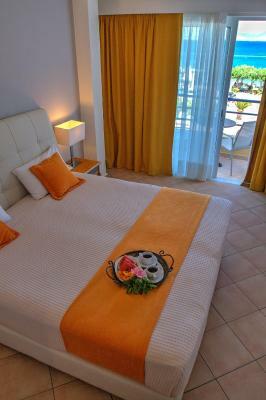 Guests enjoy free sun beds and umbrellas both next to the pool and on the beach. 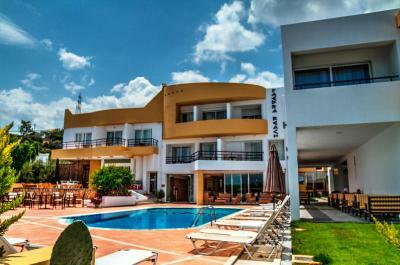 Faedra Beach Hotel consists of suites, apartments and studios. 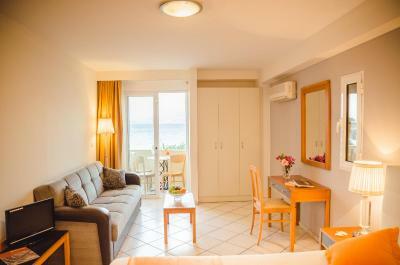 Each one offers a spacious balcony with a view to the sea or the garden. 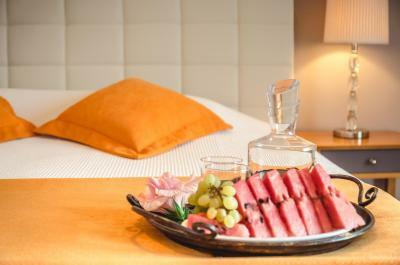 The well-appointed rooms are equipped with all modern amenities and double glazed windows and doors. 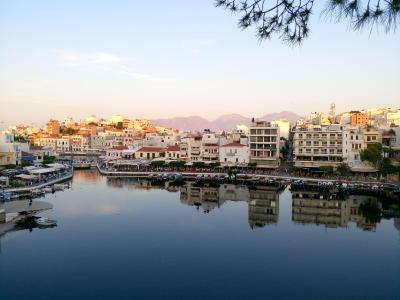 There is regular local transport from Faedra Beach to the center of Agios Nikolaos and the major cities of the island, making this an ideal base for exploring Crete. If you prefer to relax in Ammoudara Beach, dine at Faedra Beach Hotel's taverna on the sea front and savor traditional Cretan dishes. 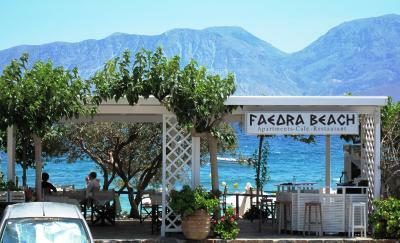 When would you like to stay at Faedra Beach? 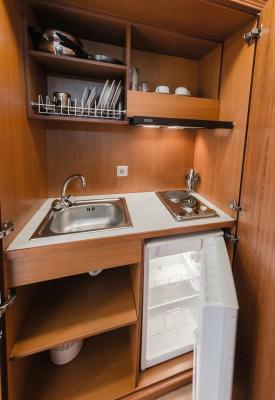 Ideal for family use, this suite includes a separate kitchen with fridge. Faedra is a small, family run and friendly hotel, in which the modern facade of the hotel creates an intimate feeling before you even enter the building. 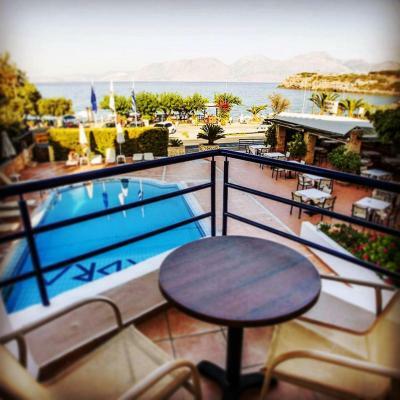 3 km from the beautiful town of Agios Nikolaos,30' min from south Crete and 45 min from the city of Heraclion plus the natural sandy beach facing the crystal water of the Mirabello bay makes Faedra beach Hotel the ideal choice to relax under the Greek sun and unwind in the wonderful island of Crete. House Rules Faedra Beach takes special requests – add in the next step! Faedra Beach accepts these cards and reserves the right to temporarily hold an amount prior to arrival. Restaurant food was really bad. I have traveled all over Greece & this was the first food that was really bad. Even breakfast was horrible. We were there in Oct & the rude waiter kept saying that was the end of the season and what did we expect. Lunch at beach restaurant was sometimes poor. The breakfast was gross and the bathroom was super small. Beds were extremely uncomfortable! The pool is a little small although combination of pool and beach is ideal. The beach is on a small curved bay so ideal for all especially young children. The shower does not have enough room. We had to come home! Great location and extremely/friendly staff. 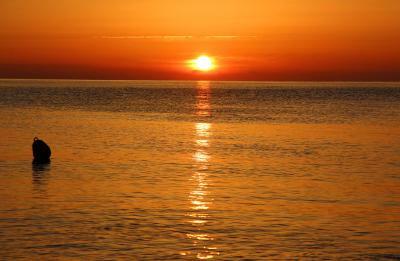 The hotel is about a 30 minute walk into Agios Nickolas which for us is perfect as we love to walk. the only problem was that it is impossible to walk back in the dark and as it got dark at about 20.00 we had to get a taxi back. We were told the taxi would be 8.50 euro but was usually 9 - 10 euro. The food at the restaurant could do with some improvement. Internet problems. Small balcony, with a nice view though. Breakfast really nice. Nice big bed. Nice coach!